Kiwi Benchtops designs offer luxury and timeless sophistication for ultra-modern, dream kitchens. All with the durability, incredible performance and best quality guaranteed by Auckland’s best bench top provider, Kiwi. The stylish product range you’ve been waiting for is now available near you in Auckland. With silky smooth and elegant beauty, Kiwi Benchtops designs offer durability and convenience with non-absorbency to ensure longer life than other products. Carefully chosen stones are handcrafted with extreme care and skills to bring give a shape to your dream kitchen. You’ll find the best stone kitchen tops in Auckland at Kiwi Benchtops, that’s a guarantee. 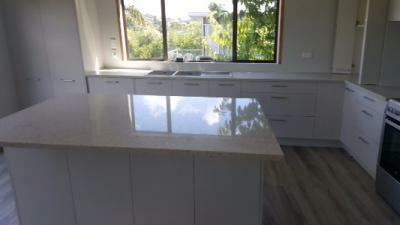 If you need stone benchtops in Auckland, look no further. Let the soft swirls of white and green create a welcoming effect on your kitchen countertop. Or enjoy the bold red accented with thin lines of gold veining to give a comforting look to your kitchen. When you explore our wide range of products, don’t miss the chance to see vibrant blues, grays, oranges, and greens dance with thin white swirls. Elegant and flowing colors that compliment your kitchen with energizing, bold, yet warm look. Our designs are both exhilarating and comforting. Manufacturing and providing benchtops in Auckland at the same place is a rare combination in today’s globalized marketplace. This is what makes Kiwi Benchtops the first choice of anyone looking for kitchen tops and other products. For our customers, our hard work results in quality that can be seen and felt. There’s a lot to say about how we do business the right way. Our ability to think big and work hard has been the core reason behind our growth and these qualities spark the innovation we bring to our customers.